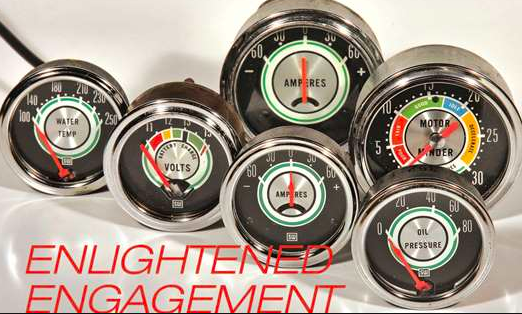 Thinking about the ideal gauges for the roadster's dash. These Green-line Stewart Warners look pretty trick. They are period correct from the early sixties up. I think they're look might nice in my dash and would be a nice compliment to the turquoise/silver exterior color, I have in mind. Available through S/W and Summit.